In the past you would have needed tooth extraction, but root canal treatment gives you the chance to keep the tooth. Root canal treatment is also called endodontic treatment. It is carried out when the dental pulp (also called the nerve) in the root canal becomes infected or dies, (Usually from deep decay) causing a toothache or abscess. Root canal treatment gives you the chance to keep the tooth. 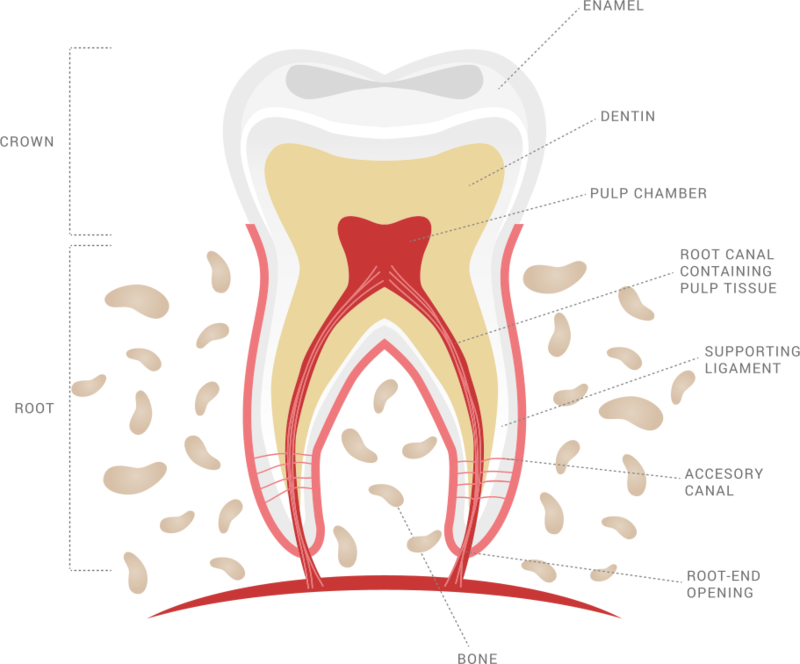 Inside a tooth is a space called the root canal, and inside the root canal is the dental pulp, which consists of nerves and blood vessels. If the dental pulp becomes diseased or dies, (usually from deep decay) a toothache or an abscess may occur. In the past, extraction was the only answer; today your dentist can provide root canal treatment to preserve your tooth. If the root canal can be fully cleaned and sealed and the tooth properly restored, treatment has a very high success rate. Often a tooth requiring root canal treatment will have large fillings or extensive damage, so a crown might also be required. Root canal treatment normally takes 2 to 3 visits to complete, with temporary fillings and dressings placed in the tooth between visits. Antibiotics are sometimes prescribed when an infection is present.